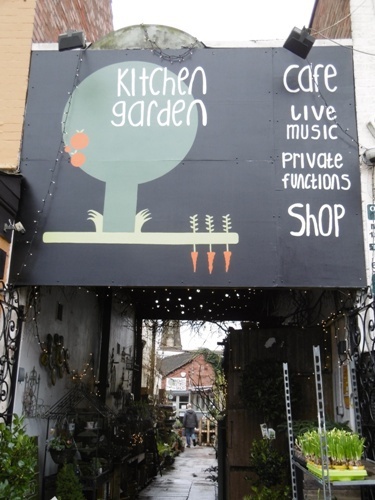 Fans of folk music are in for a treat on April 30, 2017, when solo performer Johnny Coppin joins forces with up-and-coming group Harpers Ferry for a double-header gig at Kitchen Garden Café in Kings Heath, Birmingham. The show has particular relevance for Harpers Ferry as 71-year-old Coppin is one of their folk heroes. ''We are really excited about this gig as we grew up listing to Johnny Coppin's former band Decameron,'' enthuses Harpers Ferry vocalist Pia Varma. The admiration is mutual – Coppin described Harpers Ferry as a ''fabulous new band'' on the music programme he presents on BBC Radio Gloucestershire. Johnny Coppin (pictured above) first came to prominence as one of the founding members of Decameron, a band he originally formed as a duo with Dave Bell in 1968. They became a four-piece the following year and recorded their first album, Say Hello to the Band, in 1973 when singer/ guitarist Dik Cadbury was added to the line-up. More albums and tours followed but they called it a day and went their separate ways in 1976. As a solo artist, Johnny went on to record over 12 albums, the most recent being a fourth Christmas album All On A Winter's Night. For many years he also toured as a duo with Phil Beer of Show of Hands fame. Gloucestershire-based Harpers Ferry (above) comprises Ben Harvey on guitar, Christopher Rayner on guitar, Pia Varma on vocals, Simon Frankton on bass and Oliver Court on drums. Ben and Chris have been writing, playing and recording music together since the age of 11. Pia joined the band in 2013 and they began making waves at a number of events including the Phoenix Festival, the Birmingham Jazz and Blues Festival and the Moseley Folk Festival. To create an even bigger and more exciting sound Simon Frankton and Oliver Court were added to the line-up. The band mix folk, rock, country, Americana and blues and while they take much of their inspiration from the 'singer- songwriter' period of the late '60s/ early '70s, the lyrical content of their songs is contemporary.